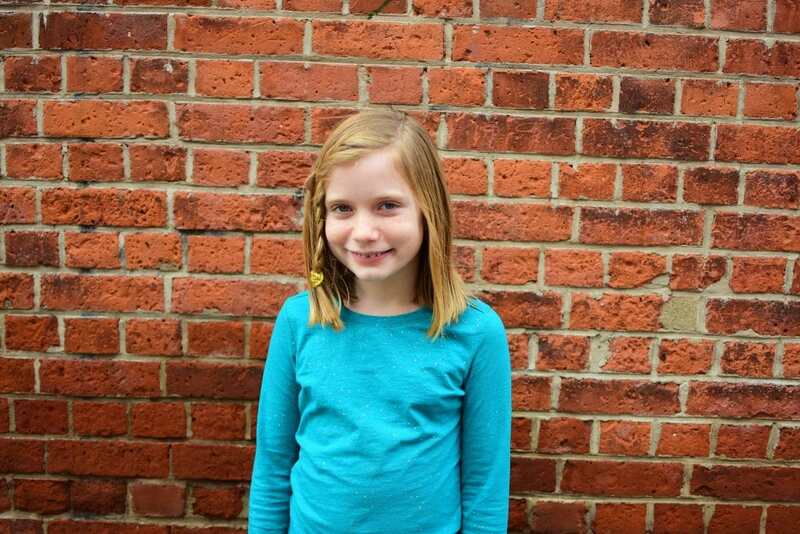 Ten-year-old crime reporter Hilde Lysiak is starring in her very own Branches early chapter book series — inspired by news stories Hilde wrote in real life! In this first book, Hero Dog! (Hilde Cracks the Case #1), there’s been a break-in on Orange Street! Cupcakes have been stolen, and soon a pie goes missing, too. 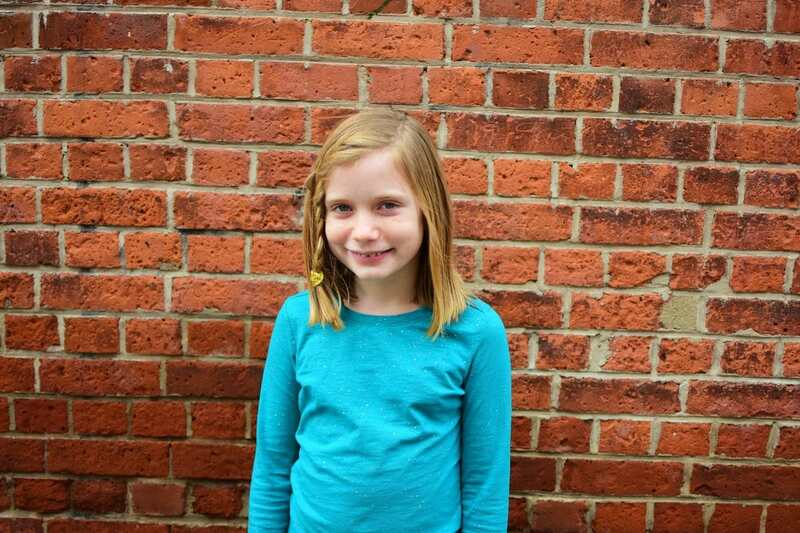 Hilde and her sister/photographer, Izzy, must interview witnesses and follow the clues. Can Hilde crack the case in time to post her news story online? Joanne Lew-Vriethoff’s personality-filled illustrations appear on every page, bringing Hilde’s adventures to life for young readers! This is just a faboulous book that’s all about getting the facts and cracking the case! It’s a great way to teach your kids about how to really look into issues and try to always get to the bottom of things. They loved it and loved it that much more when they found out the author was so young!!! Do you want to strike an investigative pose with your kids, too?? Write your own headlines! Test out your reporter knowledge with Scholastic’s “Guide to Growing Young Reporters”! Have fun! Let me know how you and your kids like it!!!! You can create your very own Hero Dog! (Hilde Cracks the Case #1)!! HERO DOG! 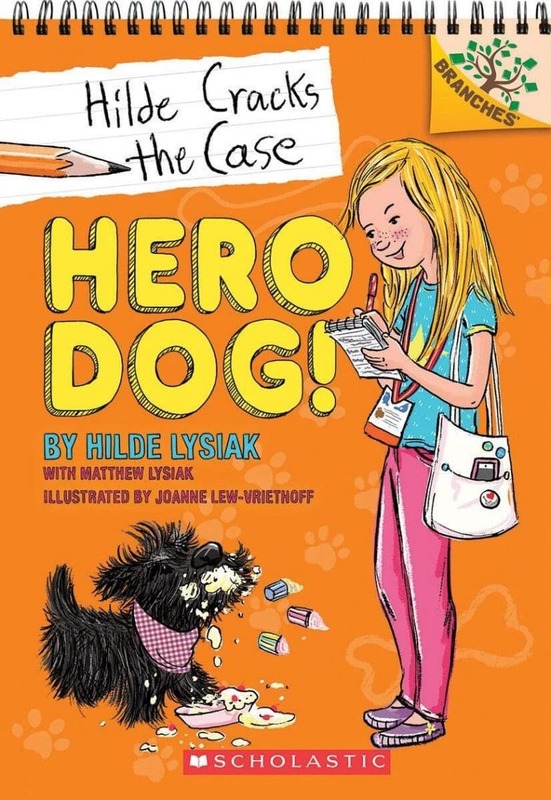 (Hilde Cracks the Case #1) is the first book in a new series from Scholastic Branches. 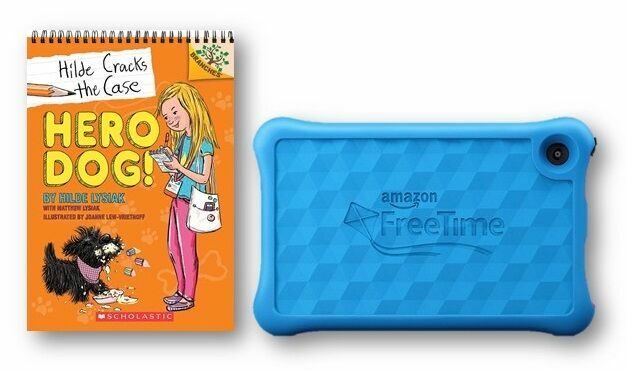 Branches is a unique line of books specifically designed for newly independent readers, typically kids ages 5 to 8. The Branches line is here to help you foster a love of reading in your kids and give them the tools they need to become life-long readers. Each book includes: easy-to-read text, simple plot lines, plenty of context cues, cliffhanger chapter endings, and purposeful illustrations (on every page!) that aid in reading comprehension. Feeling like a successful reader will bolster your child’s self-confidence, which will lead to an increased interest in reading. This is a really wonderful initiative and I just love it. I wish this was around when my two older kids were younger, but I will take full advantage of it with Caleb!! I can guarantee that!!! Open to US addresses only. Prizing and samples provided by Scholastic. Hero Dog! (Hilde Cracks the Case #1) By Hilde Lysiak with Matthew Lysiak out now!!! Recommended for ages 6-8. This is amazing, I am so impressed! What a talented 10 year old. I think this author is going to keep the kids interested and happy to read. Also think Scholastic is amazing for kids. I like the Scholastic Branches line of books because they appeal to kids and are quality books. I think this author will keep my kids interested in reading and the story is great! I used to love books like this when I was younger. My girl now loves them too. This is perfect for her. I ‘m home schooling and I love this Author. Great learning resource. I think the author is amazing! I think the book sounds awesome and it takes an awesome author to write an awesome book! This sounds like a great new series from a great author. Scholastic Branches sounds great – engaging and supporting new readers is such an important stage of literacy! That sounds like such a great book! This is exactly the kind of book I’ve always loved to give to the kids. They make reading fun, and that’s really the key. I have never heard of this author, but I am excited about this book! My kids will love it! I think she sounds like an amazing author and I can’t wait for my daughter to read this! Scholastic is so great! I think this author sounds wonderful! This sounds like such a wonderful book! I haven’t heard of this author before but I am going to have to check it out. seriously can’t wait to show my 9 year old that a 10 yo wrote a book and got published–we were talking about all his funny and scary stories–so I told him he should start writing them too. Thanks for sharing. I will be entering the giveaway so wish me luck too! I always trust scholastic products, educational and fun for the kids. I think they’re awesome! I love these books for my cousin. That’s sounds like a fun book. I love Scholastic books! We buy them all the time and the kids can never get enough of reading them. I think this would be a book my niece and nephew would enjoy. I think Hero Dog will be a real hit like all the other scholastic books. I never heard about this author, but I would love to read the book. This author sounds amazing, will definitely check him out. It looks like a good book. I often love Scholastic books! Young author very good sense of humor. Thanks for the chance to win such an amazing giveaway. Looks amazing! I have a little that loves being read to!